Nothing lasts forever, neither cold November rain nor online video games. It doesn’t matter if there’s a group of devoted acolytes out there clinging to the multiplayer races of Burnout Revenge, there simply aren’t enough of them to justify the continued maintenance of the servers that keep a game alive years after its release. At least that’s the thinking at Electronic Arts. EA announced on Monday that it is closing down the servers for that game and ten others on Apr. 13. Joining Burnout Revenge are a plethora of EA Sports titles inlcuding EA Sports MMA, FIFA 10 on PSP and Nintendo Wii, EA Sports Active NFL Training Camp, and EA Sports Active 2.0. Other titles include Spare Parts, EA Create, Need for Speed ProStreet, The Saboteur, The Godfather II, and BOOM BLOX Bash Party. 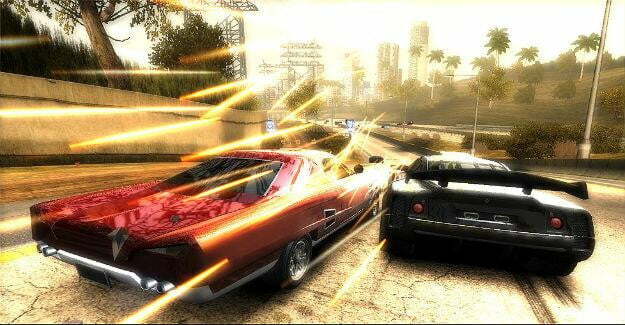 While some of these games, like Burnout, are seven years old others were released as recently as January 2011. Titles like EA Sports MMA also required the use of online passes, which some people may have purchased separate from the game. “[As] games get replaced with newer titles, the number of players still enjoying the older games dwindles to a level—fewer than 1% of all peak online players across all EA titles—where it’s no longer feasible to continue the behind-the-scenes work involved with keeping these games up and running,” reads EA’s statement on the closure. While it makes sense to free up resources devoted to games with tiny followings, these and other server closures highlight the serious issue of preservation facing video games. As more and more games come to be built around online multiplayer and other connected components, it will become increasingly difficult to archive those games and experiences. While a game for the Nintendo Entertainment System can be easily preserved via emulation, online games simply disappear once they’re no longer hosted on servers. Given how closely big publishers hold their properties though, Amis’ solution may not be practical in the near future. Too bad for those five BOOM BLOX Bash Party fans. Revisiting Cuphead on Nintendo Switch is just as memorable as it was on Xbox One nearly two years ago. Cuphead's aesthetic has a magical quality that transports you back to the childhood joy of discovery. Sony's Bluetooth-enabled DualShock 4 controllers for PlayStation 4 are some of the best on the market, but connection issues aren't unheard of. Here's how to sync them to your console. Halo: Reach is coming to Halo: The Master Chief Collection this year for both PC and Xbox One players. Invites were expected to go out toward the end of the month, but 343 Industries now says they may be delayed. Posted 18 hours ago — By Charles Singletary Jr.